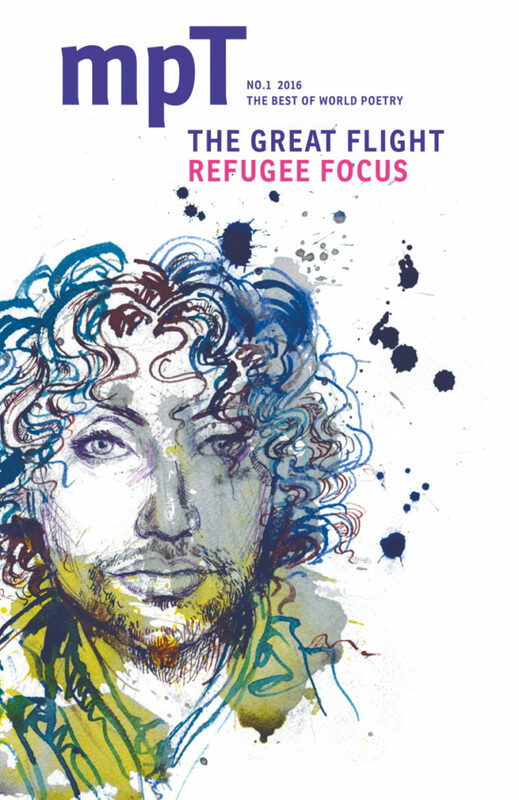 ‘The Great Flight’ focusses on refugee poetry – poetry by refugees and about the plight of refugees and migrants. It introduces us to a range of new work by renowned poets, including Eritrean Ribka Sibhatu and Ethiopian Hama Tuma. South Korean poet and translator Don Mee Choi writes about her experiences of migration and we’ve commissioned a new translation of important work by Syrian poet Golan Haji. Carmen Bugan writes movingly about her father’s failed escape from Communist Romania and Shash Trevett muses on the murder of language. We also feature new versions of two radical women poets: eighth-century Sufi mystic Rābiʿah al-Baṣrī, in Clare Pollard’s translation, and sonnets of female sexuality and desire by renaissance poet Louise Labé in translations by Olivia McCannon – all in this new issue of the groundbreaking magazine dedicated to poetry in translation.